Spring is here and road trip season is upon us! 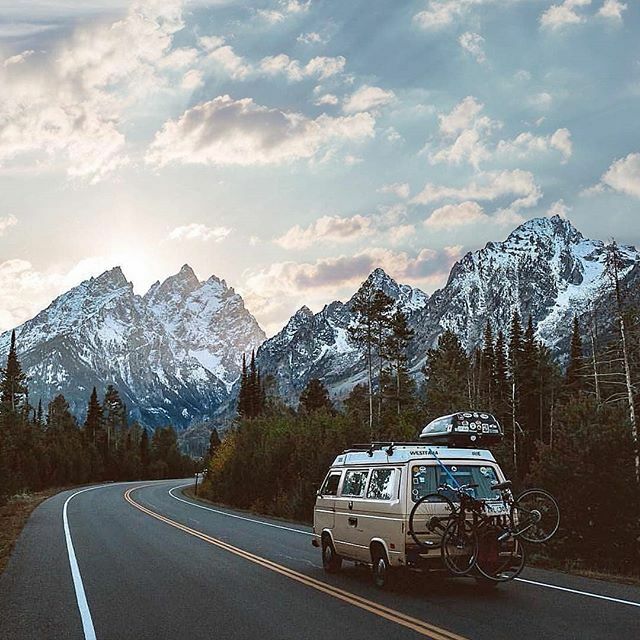 Before you pack up the van and hit the road, here are a few of our favorite tips to help keep your road trip eco friendly. 1. Aim for Zero Waste: A zero-waste road trip requires planning ahead and recognizing that waste begins with the choices we make as consumers. Start by reducing consumption of goods that contain excessive packaging. Remove any remaining packaging at home, reuse as much as you can, and send the rest to be recycled. Avoiding all waste can be demanding, but when zero-waste is the goal, it minimizes what we send to the landfill and enhances our experience on the road. 2. Bring Reusables: This is one of the easiest ways to reduce your waste. On road trips you have your home with you all the time. Bring reusable cups, plates, utensils and containers to help minimize waste. When you cook you can store your leftovers, and when you eat out you have your own takeout container. 3. Recycle: This should always be a last resort (after you’ve reduced and reused). Keep a separate container for your recycling and sort it when you drop it off. Recycling centers are easy to find by simply searching google maps (don’t forget to share recycling locations on The Vanlife App). Remember to check hours and the types of materials the center takes - this varies depending on the area you’re in. Some recycling centers will even pay you for your waste - granted it’s not much, but it is an extra incentive. Recycling is an easy way to reduce your impact. To save on space, buy cans instead of bottles and crush them down. And always opt for items packaged in recyclable and/or compostable materials. 4. Shop in Bulk (Skip packaging): With more and more U.S. grocery stores now offering a larger selection of bulk foods, these benefits are widely accessible. So on your travels seek out grocery stores with a bulk section. It’s the most economical and environmentally friendly way to shop. You have the ability to buy only what you need and it’s also a sure way to minimize packaging. Plus shopping in bulk helps save space that products wrapped in packaging would normally take up. 5. Plan Meals & Cook to Reduce Food Waste: You may have to do a little work on the front end, but planning meals in advance helps minimize food waste. You can also create your shopping lists around your meal plan and save money by buying only what you need and shopping in bulk. 6. Refill Water (skip single-use): Many supermarkets and gas stations have water refill stations, and in the United States it’s safe to drink water from taps in most cities and towns. Bring one or two large 5-7 gallon jugs with you on your road trip and forgo single use water bottles. Also, many rural towns have fresh water springs for filling mineral water. If you’re skeptical about the water, bring a steripen or water filter with you, there are many affordable ones on the market. 7. Shop Local: It’s easy to shop at the nearest chain grocery store or business on your travels, but when you make it a point to seek out and purchase goods and services from locally owned businesses rather than nationally owned chains (i.e mom-n-pop cafe vs. Starbucks, local farmers market vs. giant supermarket) more money is kept in the local economy. This is called “voting with your dollar.” Local businesses typically use local resources, employ local workers, and serve local customers. And local businesses typically operate more sustainably than nationally owned chains. 8. Maintain Your Home-On-Wheels: Ever heard this: “an ounce of prevention is better than a pound of cure.” Top up your oil and coolant and check your tire pressure. Make this your pre-trip check. And if you’re driving long distances, check again each time you stop for fuel. Maximize your fuel efficiency by getting your oil changed regularly and making sure your emissions are up to par. Proper maintenance will eliminate leaking coolant, oil and other nasty liquids that can pollute groundwater. 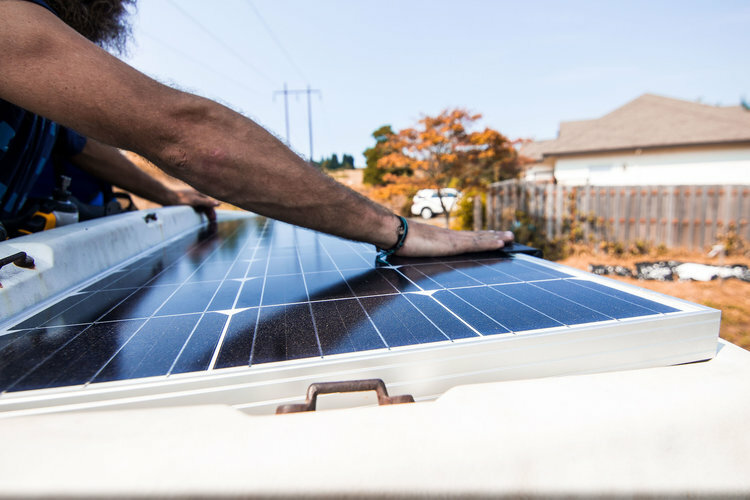 These things not only reduce your carbon footprint and save you money in the short-term (think fuel economy), but they also extend the life of your home on wheels. 9. Plan Your Route - Getting lost wastes gas and time, both of which are valuable. Plan your route in advance to save on fuel and minimize your footprint. 10. Travel Slow - It’s easy to get caught up wanting to see and do it all, but magic happens when you travel at the speed of slow. It allows you to develop a real sense of place and helps to minimize your footprint. 11. Pack Out All Your Trash - And I mean everything! When you visit a campsite make sure to pick up all your food scraps, litter, trash, nutshells, napkins, pet poop. Just because those peels are biodegradable does not mean they should be left behind. Did you know a banana peel can take up three to five weeks to breakdown? And, depending on the climate it may take much longer. Food scraps attract insects & wild animals, and when they eat human food it disrupts their natural feeding cycles (more on this later). Traveling with a pet is fun, but always clean up after them. 12. Bury Human Waste: A road trip across country isn’t complete without a backcountry trip. When you’re out enjoying the wilderness and you must go in the woods, bury your waste in cat holes about 6-8 inches deep and 200 feet from any water sources, campsites, or trails. Bring a trash bag for packing out all toilet paper and feminine hygiene products. 13. Clean up Campsites Before and After: Pick up any trash you find at your campsite (and on trails) even if it’s not yours. Bring trash bags with you and, before you set up camp, scan your campsite for trash someone may have accidentally (or not) left behind. If everyone did this, imagine what an impact it would have. 14. Go Non-Toxic: The type of toiletries we use in the outdoors is often overlooked, but many common products produce waste that can be detrimental to the environment. They contain micro-plastics and harsh chemicals that harm wildlife and pollute waterways. And since most of us live in the outdoors, knowing what’s in our products can make a big difference in our efforts to Leave No Trace. Opt for non-toxic, it’s better for your body and the natural environment. 15. Respect Wildlife - Do not feed wild animals. Clean up your campsite and pick up all food scraps and prevent the unintentional feeding of wildlife. Use precautions at night before going to bed to secure your food supply. Human food is not nutritious enough for animals and may cause serious health problems. It makes wild animals lose their natural fear of people which makes them dangerous. Be mindful of where you feed your pet and control them at all times. 16. Skip Batteries/Go Solar & Rechargeable: Disposable batteries produce gnarly waste. Go rechargeable or solar. There are many good options on the market. 17. Have Campfires Responsibly: Some people would not think of camping without a campfire. But it’s important to ask yourself, “Should I build a campfire?” Campfires can cause lasting impacts to the environment. Instead, use a lightweight stove for cooking and enjoy a candle lantern for light. Where fires are permitted, use established fire rings, fire pans, or mound fires. Keep fires small. Only use sticks from the ground that can be broken by hand. Burn all wood and coals to ash, put out campfires completely, then scatter cool ashes. A true Leave No Trace campfire shows no evidence of having been constructed. 18. Leave Campsites Better Than You Found Them: Each of us has a responsibility to propagate good by leaving a lasting footprint marked by good deeds, not only for our families, but for our communities as well. 19. Stay on Trails: Trails are designed to give us maximum exposure to natural features with minimal damage to the environment. When we go off trail we risk damaging fragile soil and destroying vegetation which disturbs protective cover and accelerates soil erosion. 20. Respect Other Visitors: Be courteous to other visitors. Most people retreat to the outdoors to enjoy the solitude of nature. Be considerate of others. Keep music and conversations to a low volume. Enjoy the tranquility and sounds of nature. 21. Offset Your Carbon Footprint: No matter what we do or how we travel, we inevitably leave a mark on the environment. Consider offsetting your carbon footprint. A carbon offset is a reduction in emissions of carbon dioxide or other greenhouse gases made in order to compensate for emissions made elsewhere. There are many great companies to whom you can donate money to plant trees in your name and offset your carbon emissions. Why Slow Travel Is The Best! Sign up with your email address to receive alerts when new blogs are posted!